This is a healthier, nutritious, and possibly more delicious take on your favorite meal as a kid: Kraft Mac and Cheese and Ore-Ida fries that Mom cooked in the oven. Sorry Ma, but we’re ditching the neon orange cheese and preservatives this time. So here’s your favorite lunch revamped: mac & cheese from scratch with tofu french fries. This recipe uses no water and no draining! 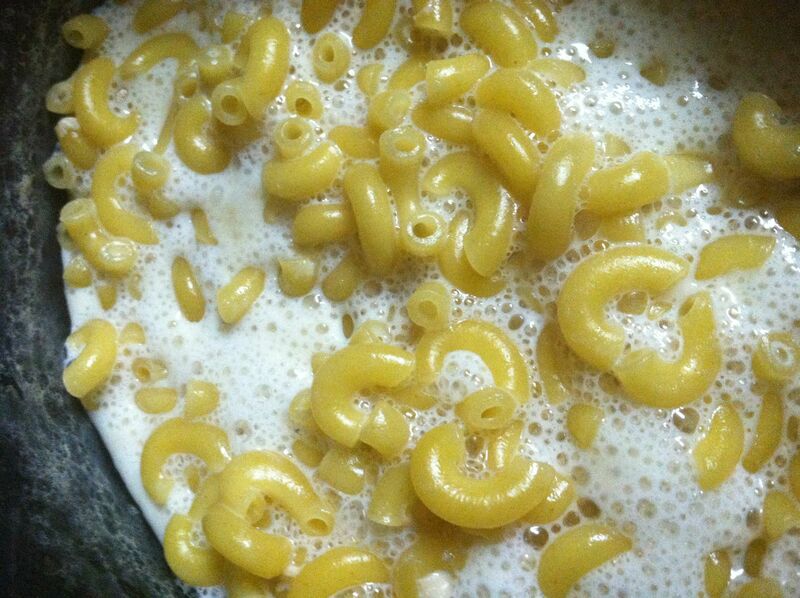 Mix milk and pasta in medium saucepan. Heat pasta and milk mixture to simmer, then reduce heat to the “low” setting. Heat for 20 minutes, or until pasta is soft, while stirring often. Do not let milk boil. After 20 minutes add garlic, basil, salt, and pepper to the pasta and stir. With heat still on low, slowly stir in the shredded cheese until melted. If you desire more creaminess, add milk small portions at a time while stirring in cheese. Spoon desired amount into bowl. Top with breadcrumbs (if desired) and enjoy! Now for the tofu fries. 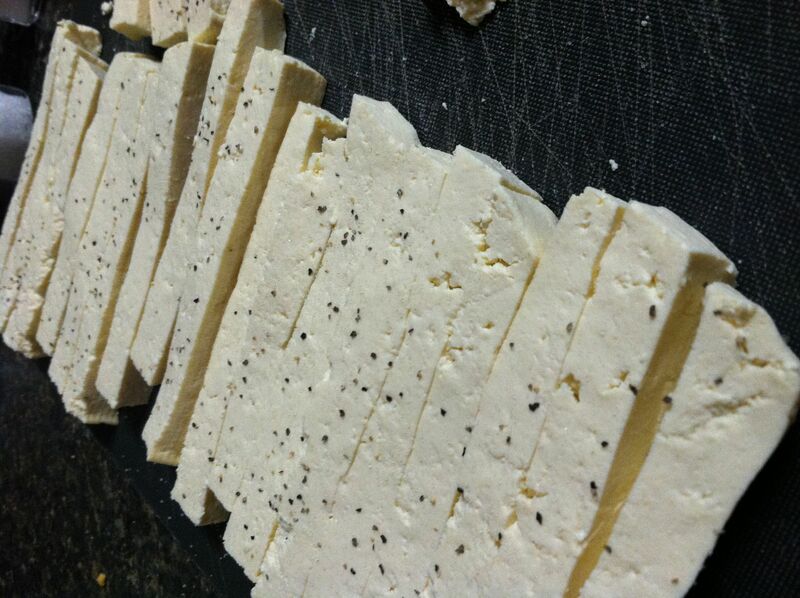 Drain tofu in a tofu press, or by placing block between two towels and leaving something heavy on top for 30 minutes to an hour. 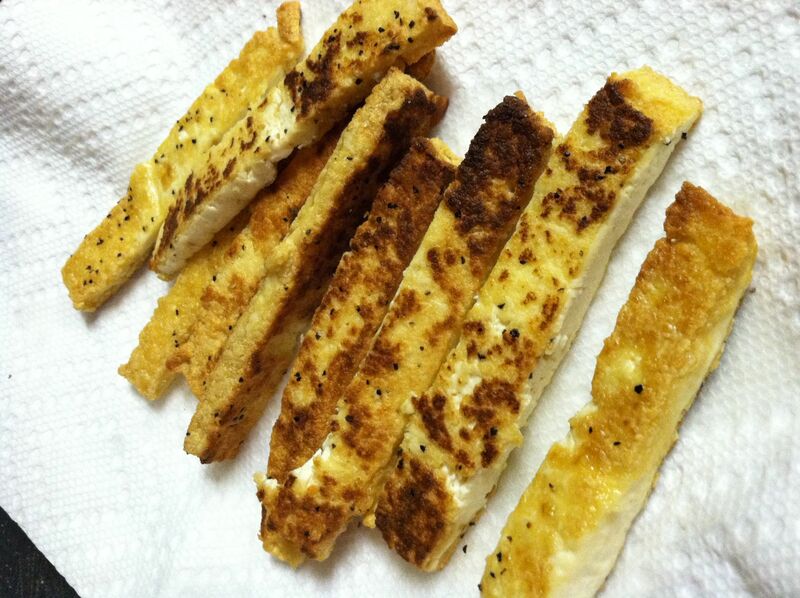 Slice tofu into fry-sized pieces and sprinkle with desired amount of sea salt and pepper. Meanwhile, heat oil in skillet on medium heat. 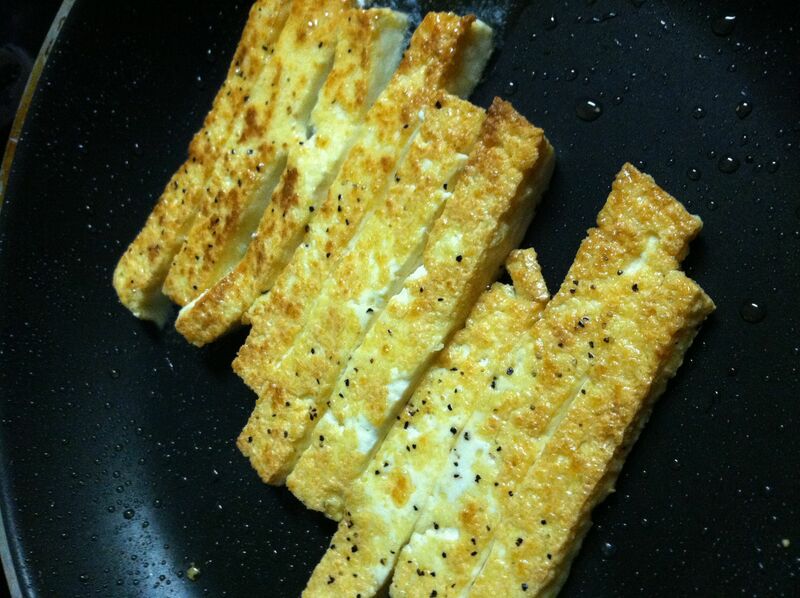 Place tofu strips onto heated skillet and turn until crispy and brown on all sides. Place on paper towel to drain any remaining oil. Enjoy the tofu fries with your favorite condiment: ketchup, ranch dip, Thai peanut sauce, etc. You will not be disappointed! Vegetarian protein never tasted this good. 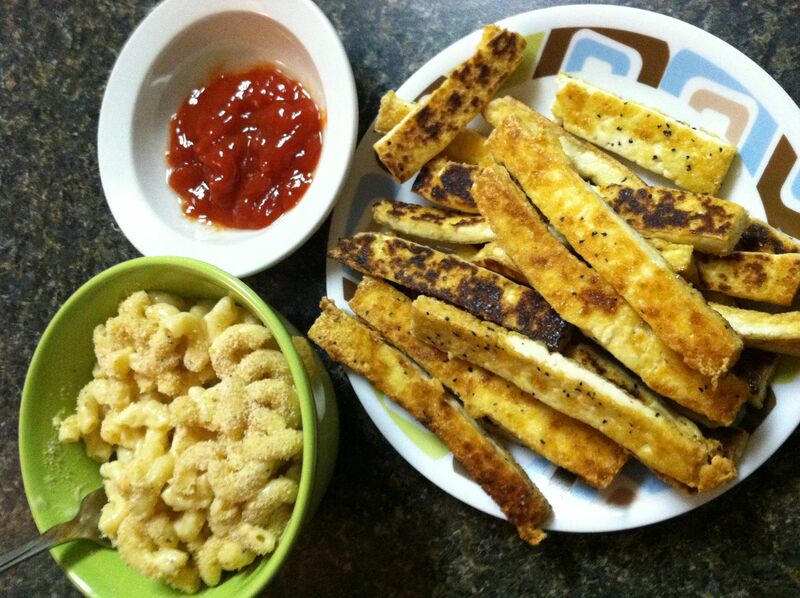 Enjoy this tasty revamped childhood meal! It is incredibly delicious, and I had to stop myself from eating an entire family-sized portion by myself. Continuing with the adult theme of this meal, I paired it with a wheat beer, specifically Shock Top Belgian White. It was a wonderful complement to this comfort food-type dish, being savory and flavorful itself, and to be honest, it was the only beer in my fridge! Hope you like this wonderful bev & veg combo…I sure did! 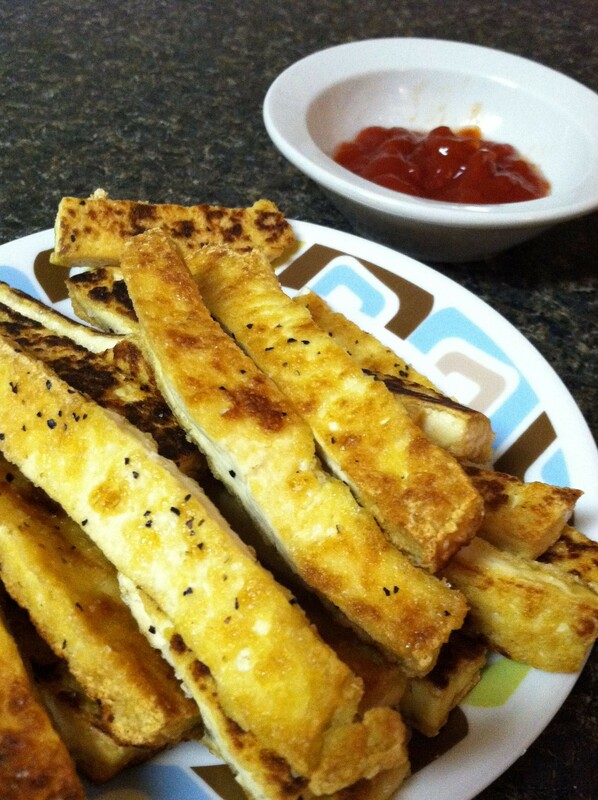 If you haven’t tried tofu fries yet, I highly recommend them! So good! And thanks…) I wish I knew some more about professional pairing…my pairings are based mostly on taste buds and luck! 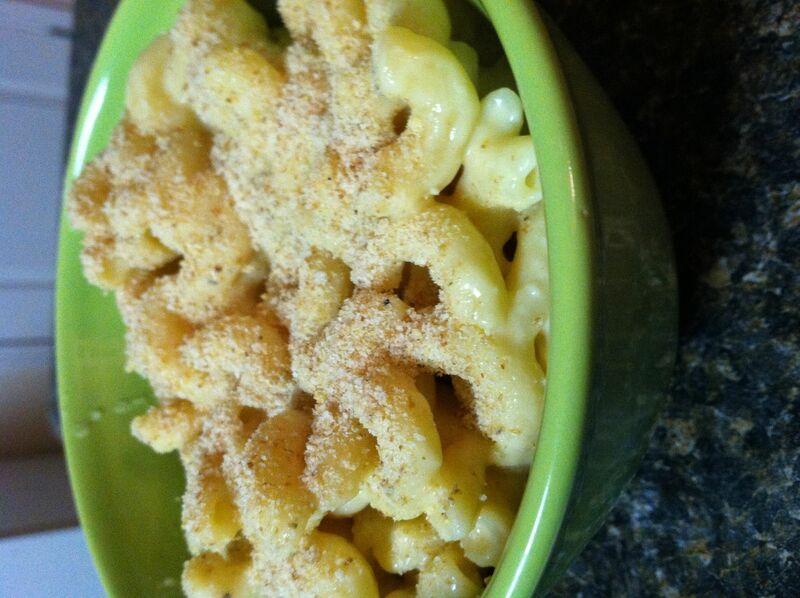 I am going to try that mac and cheese recipe – no baking means no heating the whole kitchen in the summer. Exactly! I always want to make baked dishes in the summer but don’t like the kitchen sauna side effect so I avoid them. Hope you like the recipe!! 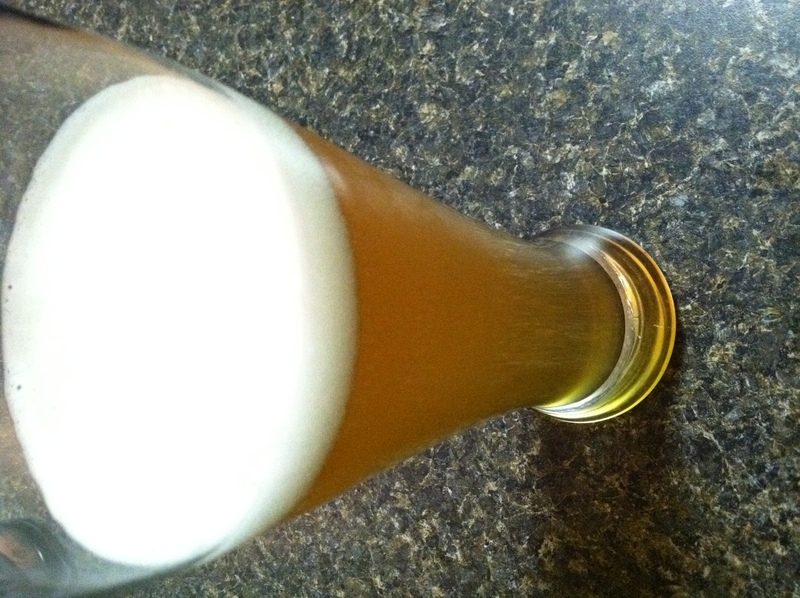 I highly recommend making them…so tasty!